The launch of the new Audi A3 in the United States has started off with a nice bang, with 2,159 A3 sedans sold in the month of April (beating Mercedes-Benz’s CLA sales by a couple hundred). The phrase “paid my dues” has been one of the leitmotifs of the Audi A3 launch, both on social media and as part of the “Dues” A3 TV advert. “Paid my dues” comes from the first line of Queen’s “We Are The Champions”, the song used on that ad. On May 7th, Audi chose a wide selection of people’s #PaidMyDues stories and turned them over to an ensemble of artists to create works of art around those stories for the live event and stream. Although it was an abridged version of my tweet, it was enough for me to get all excited and may have squeed out loud. The Sumi Ink Club had used the contents of my tweet and incorporated it into the large doodle painting created live for the event. 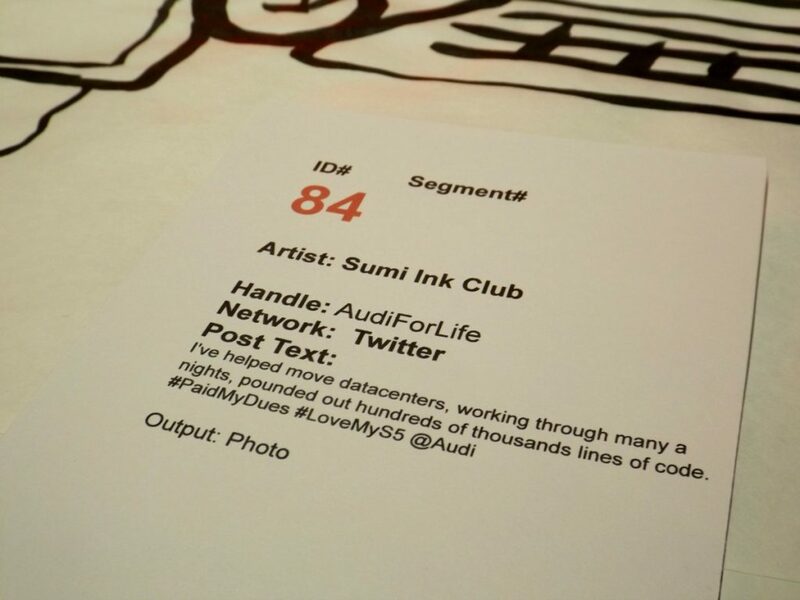 The Unofficial Audi Blog took a photo of the printed out tweet that the artists were using to re-create in the painting. Audi sent a tweet of the section of the painting containing the completed doodle based on my #PaidMyDues tweet. To say that I’m honored and thankful is an understatement. 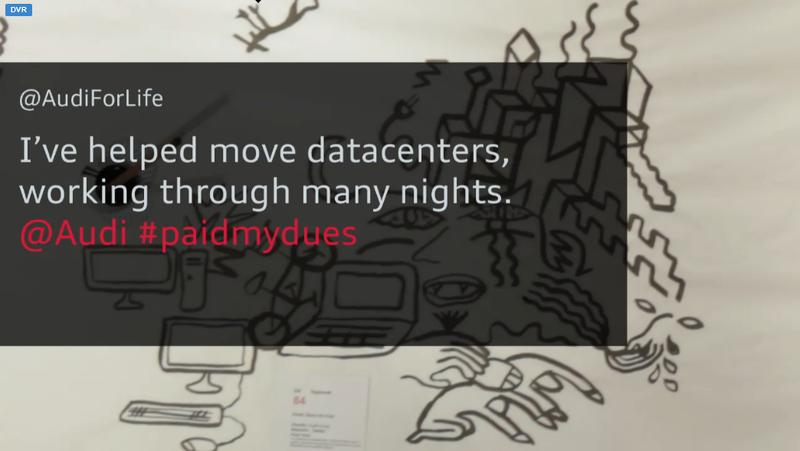 Thank you Audi USA and Sumi Ink Club for turning my #PaidMyDues into a doodle and a huge kudos to everyone involved in planning, setting up, managing and all of the guys and gals creating works of art for #PaidMyDues.